A BYFLEET resident is alarmed at the increasing amount of “laughing gas” sniffing taking place in the village recreation ground’s car park. 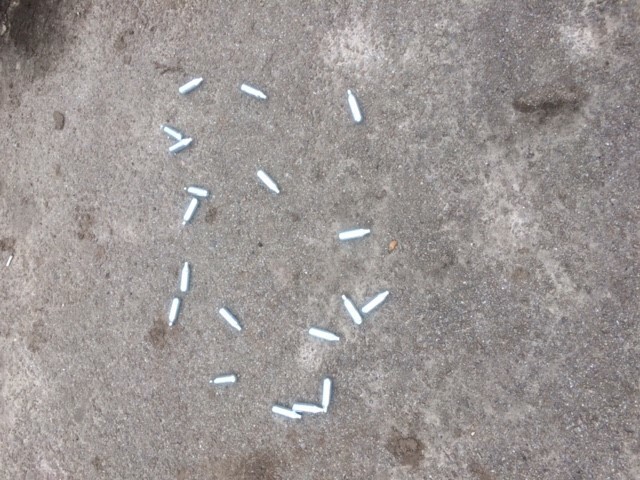 He says the area is often littered with nitrous oxide bulbs – mini cylinders – as young people congregate there to get high on the gas. The resident, who asked not to be named, says the recreation ground is not being properly looked after. There is a graffiti on the skateboard ramps and a large puddle, caused by a blocked drain, has been forming in the car park for two years. Nitrous oxide bulbs, which are commonly used in whipped cream machines, can easily be bought online at around £9.50 for 24. Some retailers state that they are for food use only and restrict sales to over-18s, but others have no age restrictions or warnings.